A woman in a thick winter kimono has an okosozukin (御高祖頭巾) wrapped around her head to protect herself against the winter cold. In her hands she holds something wrapped in a furoshiki (風呂敷), a Japanese wrapping cloth. 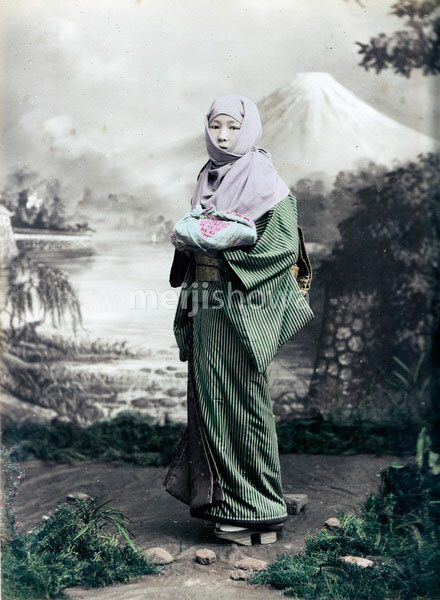 She is wearing geta and her hair is done in a traditional manner. See blog entry.